Roddy Woomble, gig in Leeds. Idlewild frontman Roddy Woomble is heading for Leeds this month as part of his latest solo tour. The Scottish singer will be appearing at the Brudenell Social Club on Tuesday, October 24. He is touring his latest solo record, ‘The Deluder’, which he will be airing with a full band at the Leeds show, along with playing plenty of old favourites. After Idlewild’s 2015 album ‘Everything Ever Written’, the band were set on writing and recording another album straight away, and they started that process off, however everyone’s life took over in one way or another and they decided to take a break from it for the time being. Up in the Hebrides, with winter approaching Roddy decided to start with another sort of record, what would turn into his most personal, introspective album of songs. Working mainly with Andrew Mitchell (guitar and bass) Danny Grant (drums, programming) and Luciano Rossi (piano, keyboards, bass) over the winter of 2016/17 in Edinburgh, London and the Isle of Mull he recorded and mixed the album ‘The Deluder’. 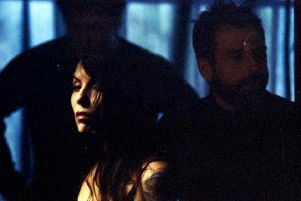 The record was produced and performed by the four of them, with contributions with other long standing collaborators Hannah Fisher (violin and vocals) and Sorren Maclean (guitar). Roddy doesn’t do themes, he collects songs together and records them over a period of time, and a loose narrative starts to develop between them. It’s a mix of listening, reading, think travelling and writing that combines into something slightly new each time, on every record. “The significance is either there or not, it depends on your circumstance and how much time, thought, and angst you care to put into it.” said Roddy. On turning 40 Roddy looked to two quotes, one from George Orwell - ‘At 40 a man has the face he deserves’ , the other by Danish philosopher Arthur Schopenhauer - ‘The first 40 years of life give us the text: the next 30 supply the commentary’. As frontman of Scottish indie rock band Idlewild, Roddy has notched up eight acclaimed albums and three compilations, two of which charted in the UK top 10. They have released 12 UK top forty singles and have toured throughout the world, as a headline act, and also as support to REM, U2, Pearl Jam and the Rolling Stones among others.